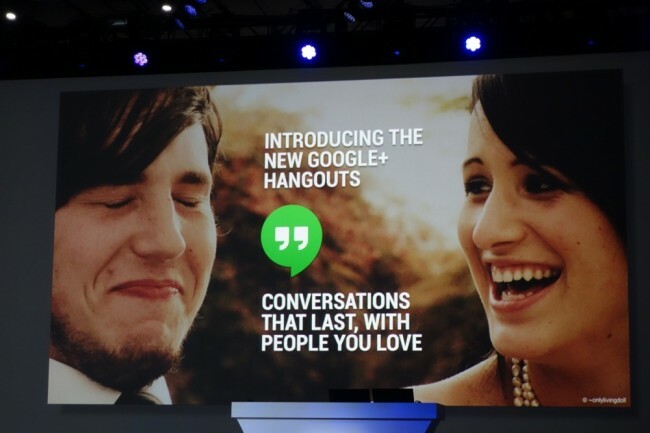 Google has announced Hangouts, their new messaging service. It works across platforms, meaning it works on Chrome, Android, and iOS. During today’s Google I/O keynote, Google and Vic Gundotra announced Hangouts, their new messaging service (previously codenamed Babel). It works across platforms, meaning it works on Chrome, Android, and iOS. It also utilizes cross-device notifications, which allows you to check one device and have the notifications on others clear away. This is the unified chat that has been rumored for weeks now.